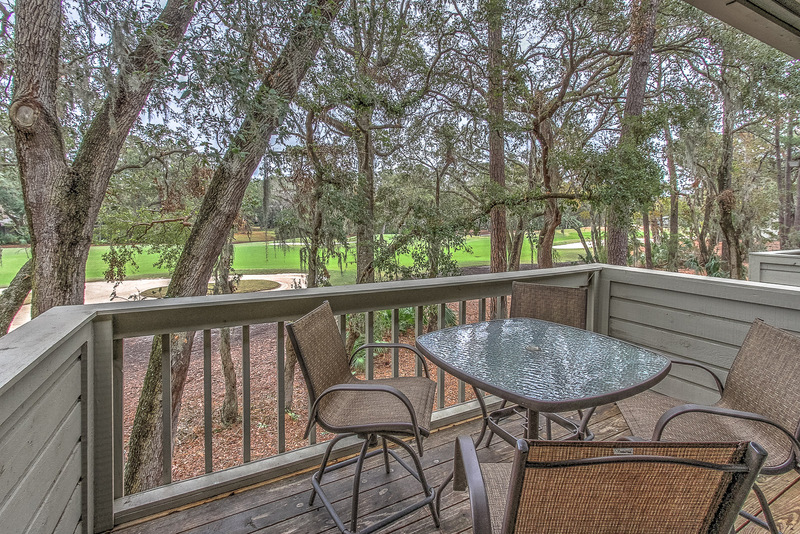 Located on the second floor of Racquet Club Villas, this incredible newly renovated villa has beautiful golf course views. 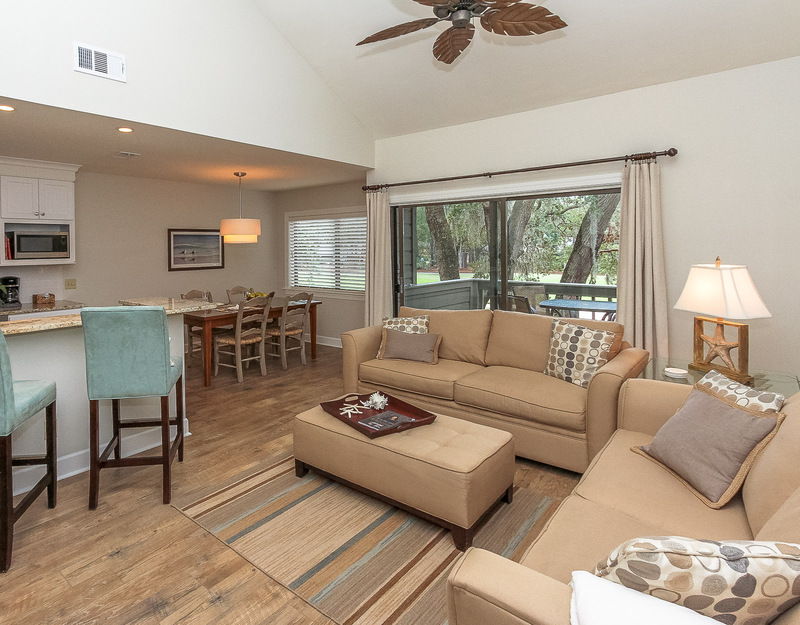 With coastal inspired hues, the living space offers a flat screen 50 inch High Definition TV which includes the golf channel, plush sleeper sofa, and a matching sofa. 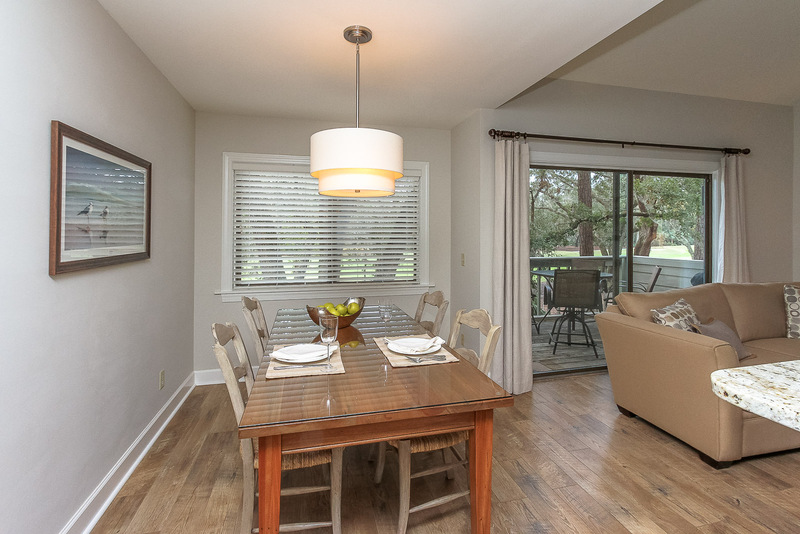 The living room, dining room, and kitchen blend seamlessly into one single space; making this a perfect and spacious alternative to a hotel room. 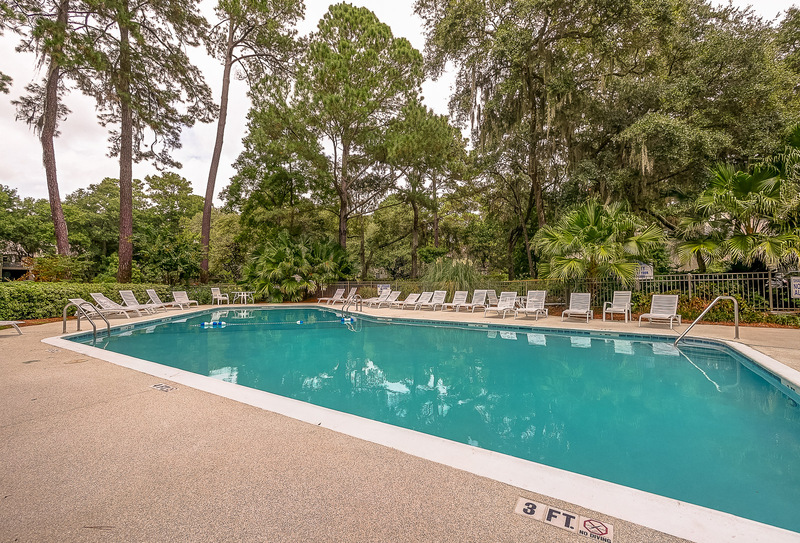 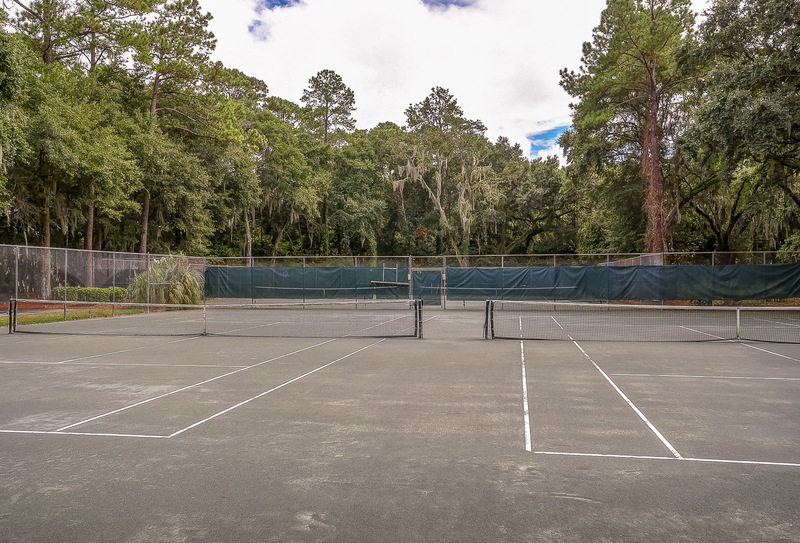 The view spans a fairway of the Heron Point golf course and Spanish-moss draped oaks, that can be enjoyed from your outdoor patio with bistro seating for four. 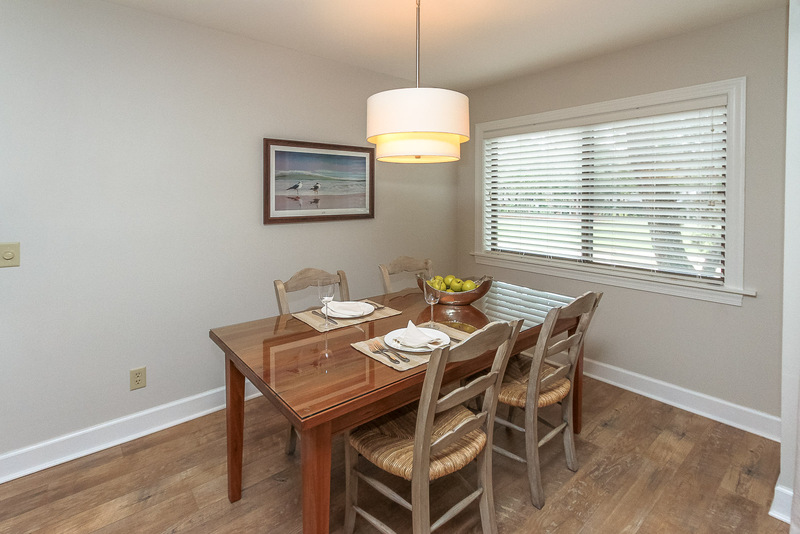 The dining room features a farmhouse style table with seating for four. 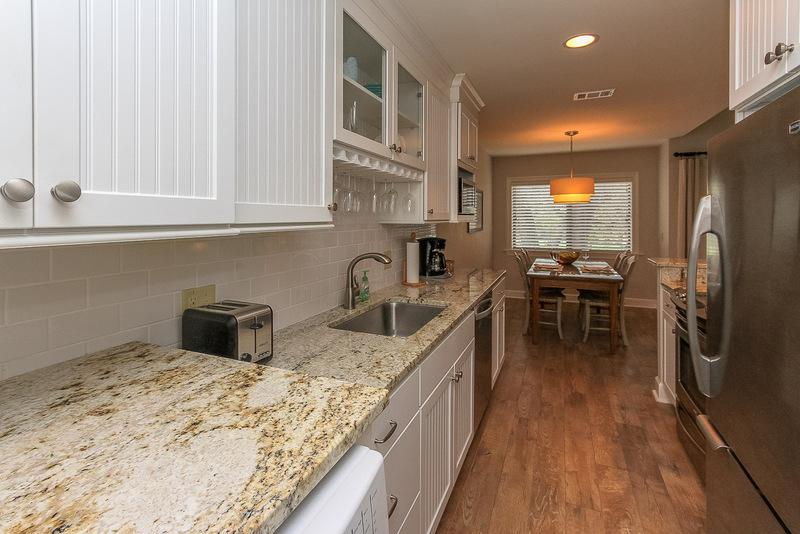 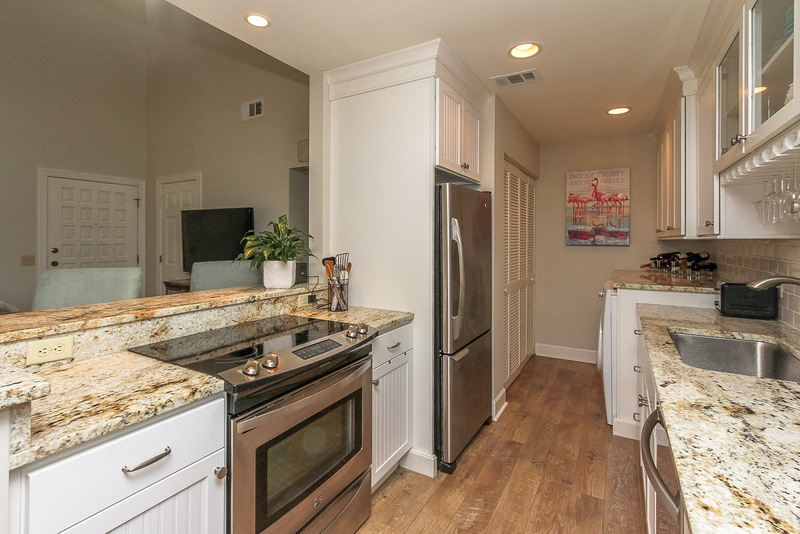 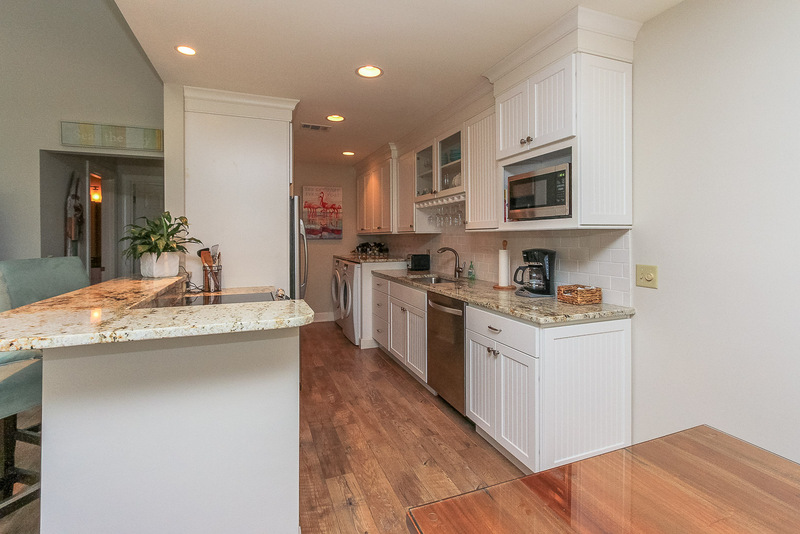 Integrated with this space is a galley-style kitchen, which features all-new stainless steel appliances, white beadboard cabinets, beautiful granite countertops, and a white subway tiled backsplash. 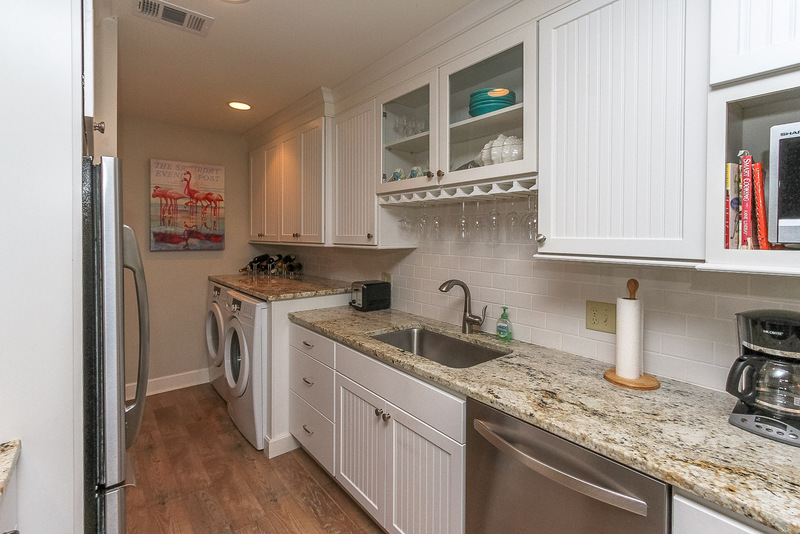 Also in the kitchen are a full-sized washer and dryer. 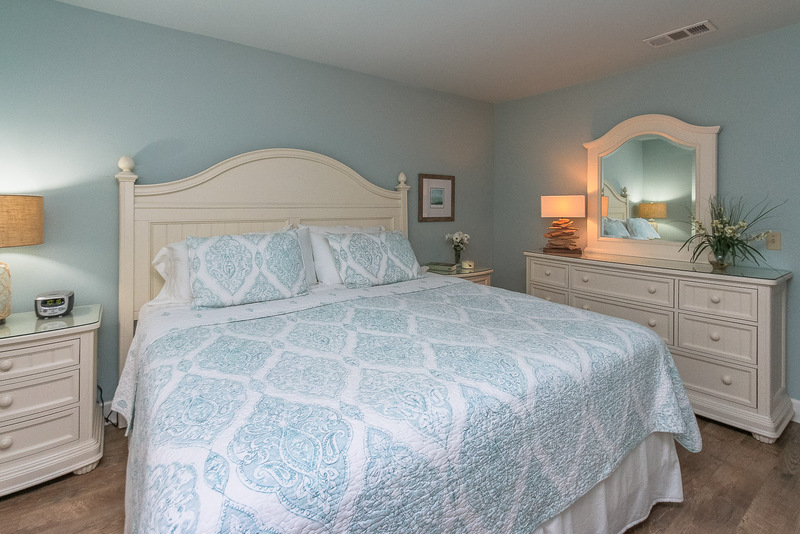 The tranquil bedroom features a king-sized bed, a flat screen TV, and large walk-in closet. 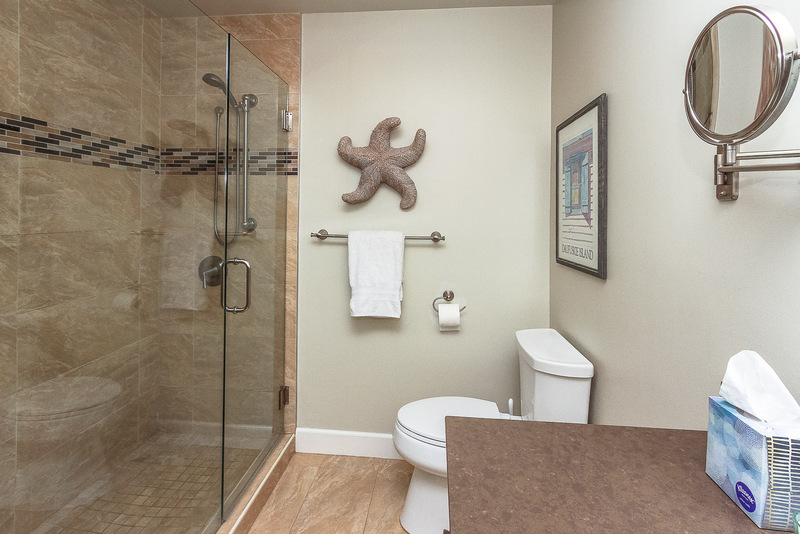 The master bathroom has porcelain tile throughout with a walk-in shower and quartz countertops. 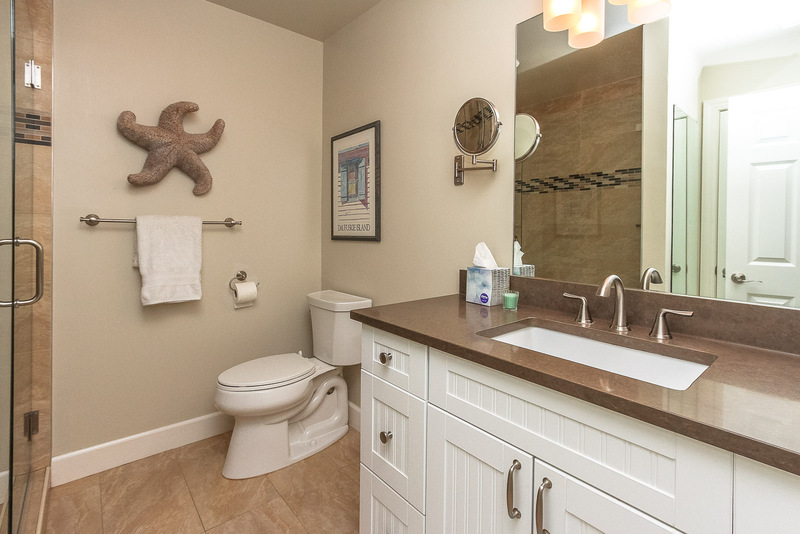 All new fixtures include a handheld shower, new light fixture, and mirrors. 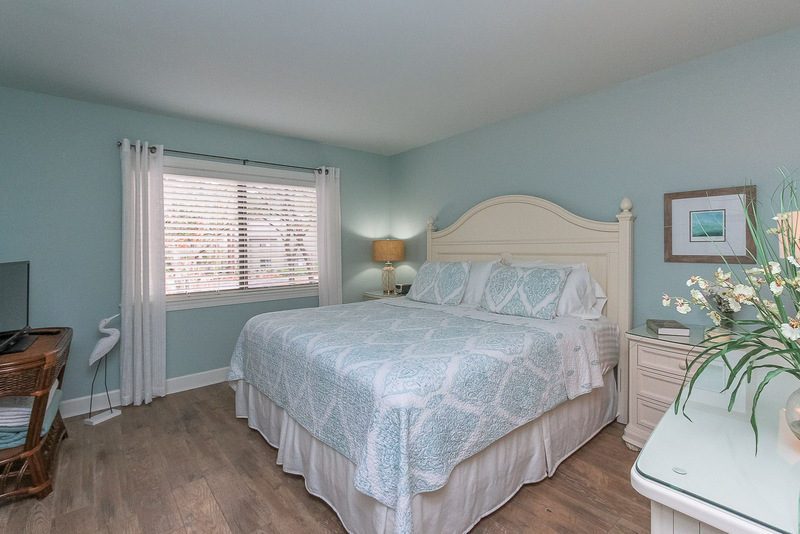 The newly renovated villa is perfect for your next family vacation! 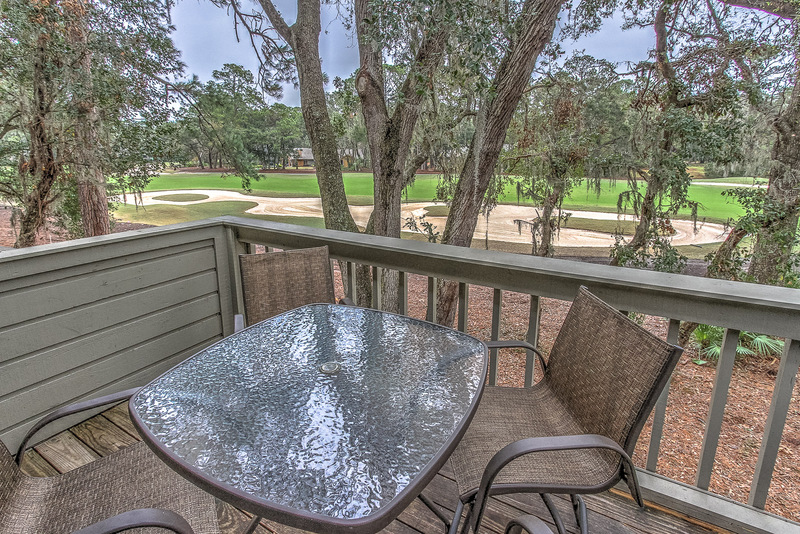 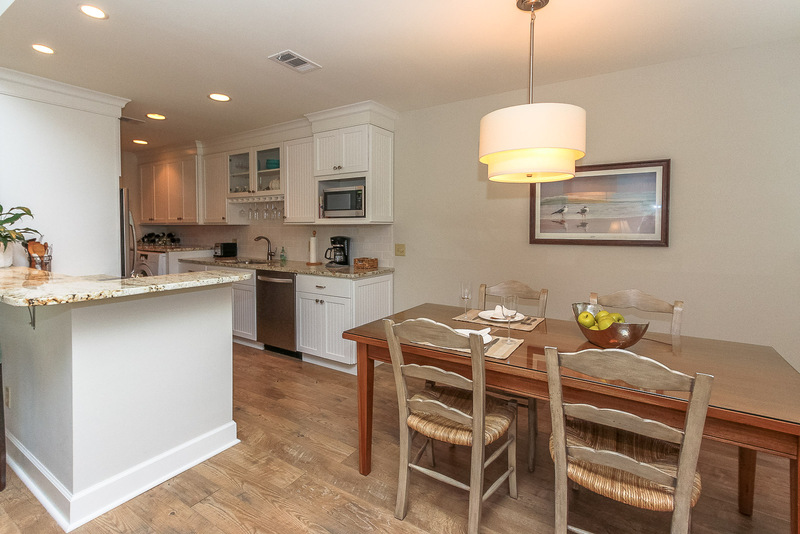 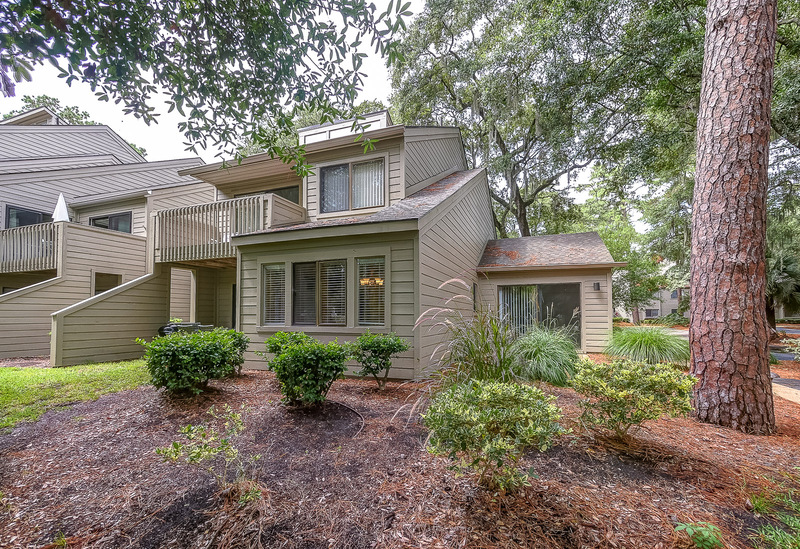 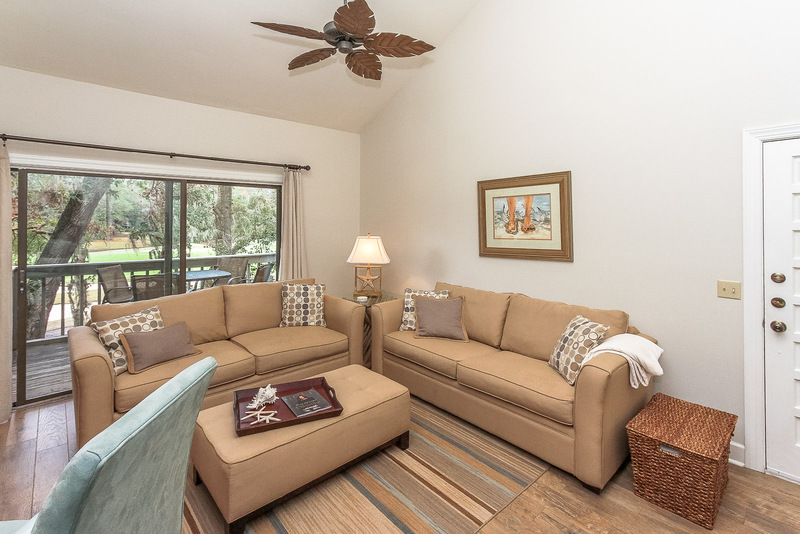 It is located within walking distance to Harbour Town and a short trolley ride to the Sea Pines Beach Club. 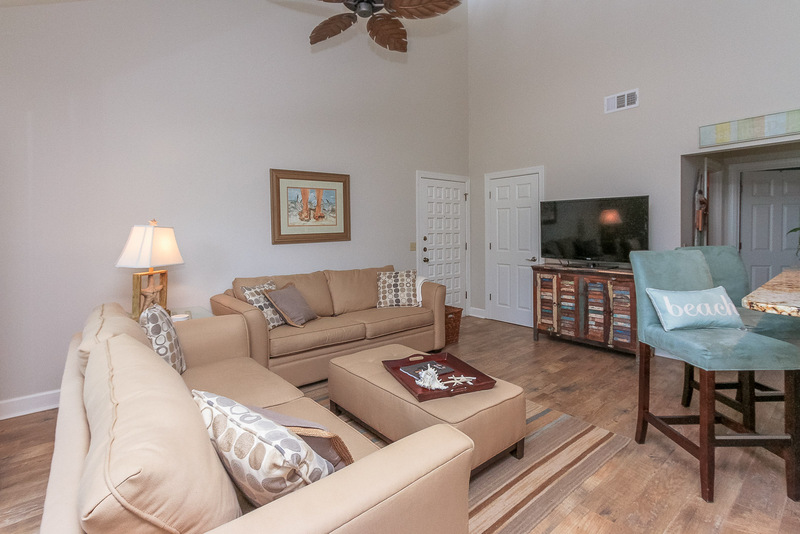 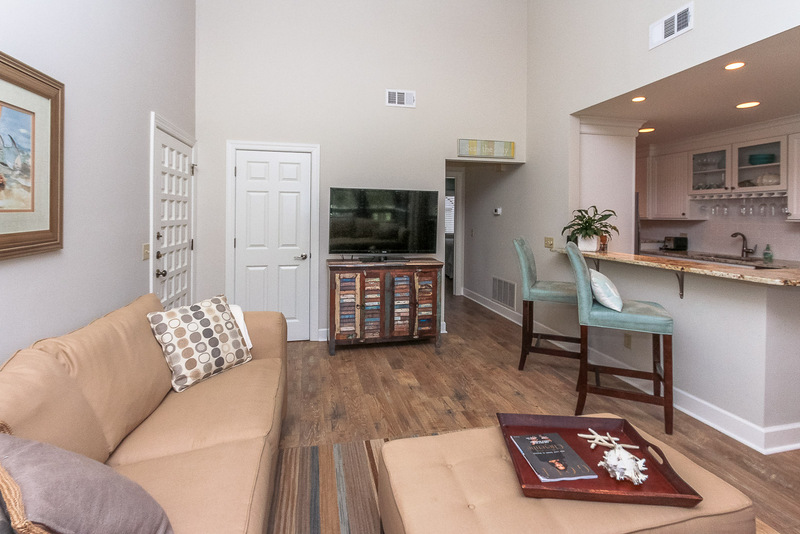 •	2 TV’s which include 50 inch High Definition TV in the living area that also has the GOLF Channel!